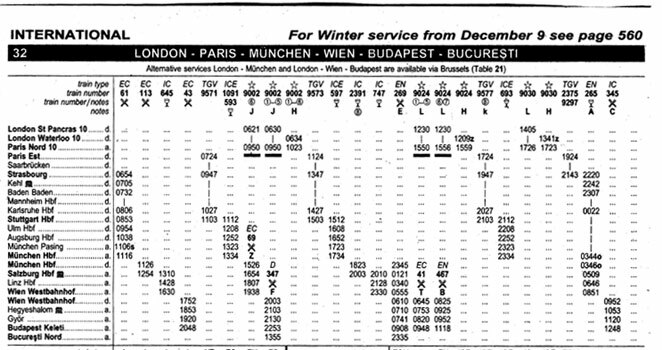 European Rail Timetable . . . Published since 1873, the European Rail Timetable is a remarkable book, and an essential companion for any serious train traveller to Europe. Originally the Thomas Cook European Timetable, in summer 2013 the Thomas Cook Group pulled the plug on their whole publications department, and the August 2013 edition was the last Thomas Cook Timetable they published, just months after celebrating 140 years of publication. However, the dedicated ex-Thomas Cook staff put together a private venture to carry on publication, and it is now called simply the European rail Timetable. 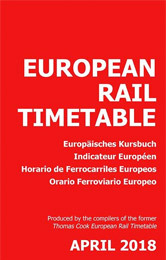 Their first edition came out in March 2014 and you can buy the latest edition at www.europeanrailtimetable.eu for £15.99. Highly, highly recommended! What does the European Rail Timetable contain? 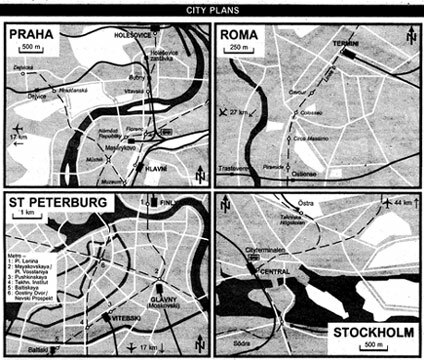 It also includes train service in Asian Turkey and Asian Russia, including the Trans-Siberian Railway. Is it worth buying one? If you're only making one journey from A to B and back, well of course you can find the necessary train times online these days. But if you plan to make regular trips from the UK into mainland Europe several times a year, or are planning an extensive tour, then yes, it's definitely worth buying a copy. Having your own comprehensive timetable allows you to plan at leisure in your armchair at home, and when travelling it puts you in control of your own trip. It can save you hours in queues for station information desks or struggling with station timetables which show only the most basic information. It's published monthly, although as European timetables only change twice a year in June & December, you don't need to buy one every month. Just buying the June and December editions is sufficient for most travellers, although occasional updates and revisions happen in between. In fact, even a European Rail Timetable that's two years out of date is far better than travelling blind! The last Thomas Cook editions have sold out. 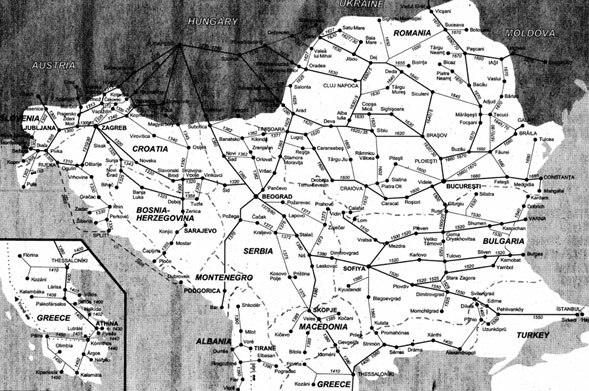 This is a typical rail route map shown in the European Rail Timetable. The numbers next to each rail line refer to the timetable for that route.